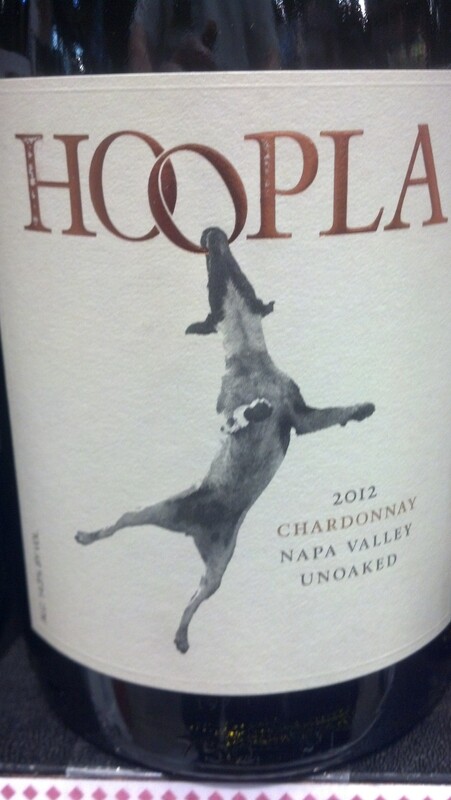 Hoopla Napa Valley Unoaked Chardonnay 2012 | Wine Splash! A wonderful Chardonnay that you won’t have to jump through hoops to enjoy! Very rich in mouth-feel with pleasing depth and character. Aromas and flavors of bright pear, sweet apple, and citrus. Hints of honey and vanilla evolve on the long, refreshing finish. The abundant fruit makes this Chardonnay seem off-dry but it does have a crisp style. Unoaked so the true flavors of Chardonnay can be released! Pair with salmon, chicken, pasta with cream sauces, salads, medium cheeses, or a fun filled sunny day! 90 delicious points! WineSplashing!